How A Cold Brew Can Stop You From Checking Your Smartphone : All Tech Considered When you're at a bar, staring at your device instead of chatting with friends defeats the purpose of being there in the first place. This innovation steers beer lovers toward the right choice. A beer glass that only stands if it can rest on your smartphone. Regular All Tech readers may know that we've been exploring the social norms around obsessively checking your smartphone while out with real, live human beings. Is it a big no-no, or a new normal? Is it totally not cool in a movie but OK to peek at dinner? Y'all have responded in hundreds of thoughtful ways on the original post and through this form (which is still open). Many of you suggested a game to play with friends — stack up your phones at the beginning of the meal, and whoever reaches for it first has to pay for drinks. But one of you wrote in with an innovation: The Offline Glass. "The glass is being used in the Salve Jorge Bar in Sao Paolo and was created by the Fischer & Friends ad agency in Brazil. You can't buy one but, with the right tools, you could probably make a few. I'd like to see someone 3D print a few of these for house parties." 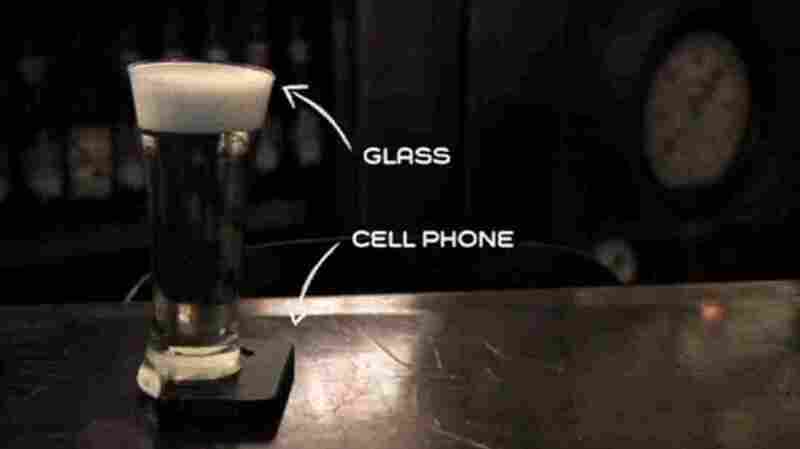 A beer glass that only stands if it's resting on a cellphone. We'd love to test it out in American bars, too. Our "Weekly Innovation" blog series explores an interesting idea, design or product that you may not have heard of yet. Do you have an innovation to share? Use this quick form.